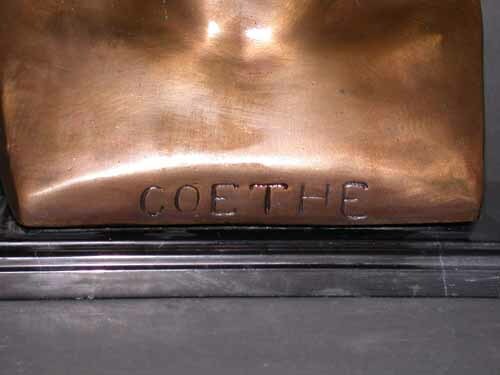 Germany's greatest poet and dramatist. Approximately 13" tall and weights 14 pounds. 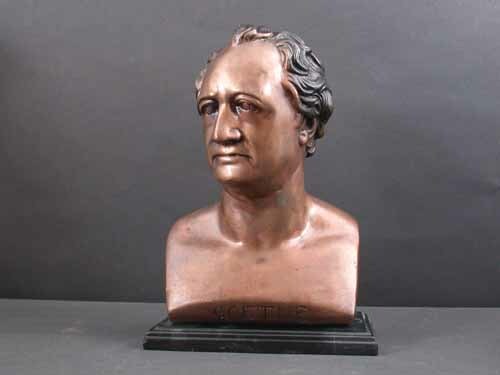 The spirit of Goethe is captured in the very high quality bronze bust on a black marble base. It is approximately 13" tall and weights 14 pounds. It is Stunning and you will never see better quality. 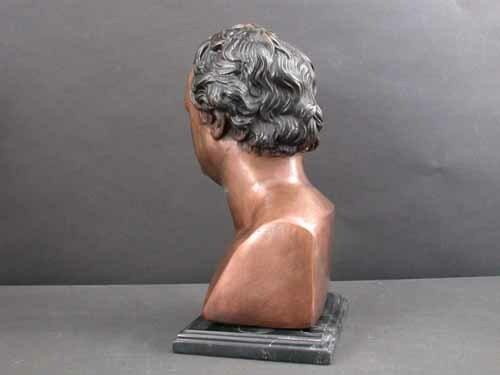 This large, solid bronze piece is beautiful and a pleasure to view. "Noble let man be / Helpful and good." "Who so with fervent will strives on / At last can find redemption." 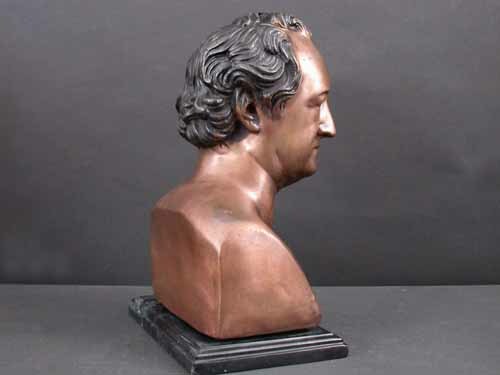 "What your forebears have bequeathed upon you / Earn it anew to make it truly your own."